‘Keep close to nature’s heart and break clear away, once in a while, and climb a mountain or spend a week in the woods wash your spirit clean’ JOHN MUR. After driving through the beautiful Honde Valley and the Great Eastern Highlands Tea plantations you arrive at what has to be one of the world’s best kept secrets. 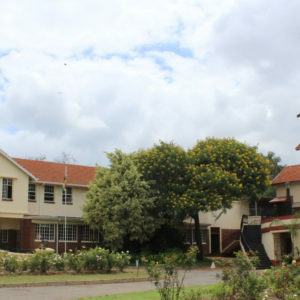 Aberfoyle Lodge is situated in a very special part of Zimbabwe. With rolling tea plantations, riparian forests and the Nyamkombe River surrounding the lodge, it is the home of Mother Nature. 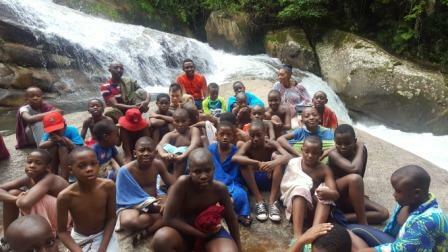 Hartmann House Grade 5 Peter set out on a mission to explore and discover one of the world’s best kept secrets. 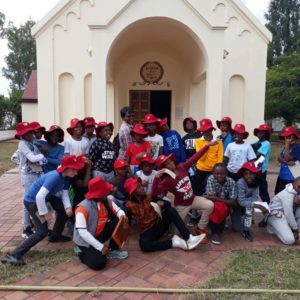 We set off in a jovial mood with anticipation of venturing into the unknown for the majority of the boys, who had not been to the Eastern Highlands before. We were on the road just after 0700 on Monday the … of March whilst the rest of the school enjoyed their half term break. We were fortunate to travel without much rain along the way and we arrived ta Aberfoyle ahead of schedule after what was a long trip for the boys. It was surprising that after all the eating that had kept the boys busy from Harare they still couldn’t wait to have their lunch. Soon after arrival the boys quickly settled into their “dormitory” for the week, a squash court. With many screaming and shouting in fear of the bug infested room. We then spent the rest of our first afternoon at Aberfoyle playing football and running around in an attempt to drain all the energy. 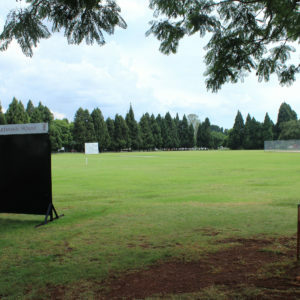 As many can guess it seemed like the energy levels were constantly being recharged by the beautiful forest green views. Returning to the lodge to freshen up and prepare for dinner we got the opportunity to watch the amazing sunset and let the moments simmer in slowly. A warm tasty meal awaited us in the dining room after evening showers. This became routine for the duration of our stay. We were served delicious meals that kept our taste buds wagging that the boys wished they could stay a night longer. 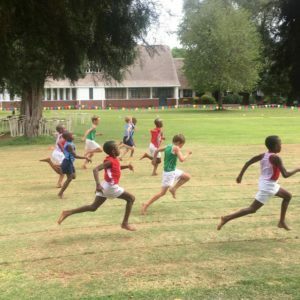 With a wide array of activities available at Aberfoyle the boys and staff were kept busy throughout the stay in the Honde Valley. 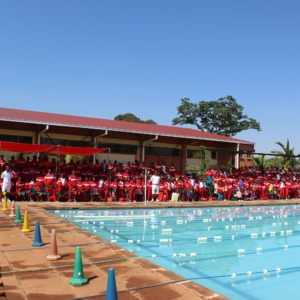 The main features were 18 Hole Putt Putt Golf, Crocket, Wamba Tea Factory tour, Water bodying, Hydropower stations, fishing (bream and trout) and ABC School which all brought fun and enjoyment but above all were morally relevant and educational life lessons. We can safely say we have more than capable ‘Professional Tea Tasters’ in 5 Peter after their firsthand experience of the Wamba Tea Factory. The appreciation of the process by the boys was reflected in the questions they asked, which was impressive. The Thursday visit to Aberfoyle School was a valuable opportunity for our boys to appreciate and admire the resources they are fortunate to have. We went out to Aberfoyle Primary School and were given the chance to interact and share amazing memories with the children there. They danced, they sang and best of all were taught how to grow bananas and our boys being the great saints they are, took part in every activity with great delight and joy. 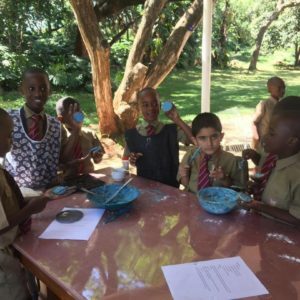 The ‘Little Saints’ did not disappoint as they handed over a donation of books that will go a long way in improving the educational livelihood of Aberfoyle School. It was Friday, and time to return home before we knew it. It was time to bid farewell to Mrs. Julie Cregg and the Aberfoyle staff who had looked after us with the most caring hands. 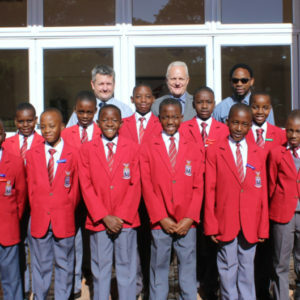 The week had gone by in a flash and credit is due to our boys for their exemplary behavior throughout our stay at Aberfoyle. Special mention Marques Evans who was awarded the ATTITUDE badge for his overall excellence at Aberfoyle in all activities and assignments. The long journey back to Harare was silky smooth and gratitude to Uncle Jo who had driven us all week to all our adventure spots. Our Sprits were definitely washed in the peaceful Honde Valley and we returned home eager to exercise what we had learnt effectively.